Today we took a trip down the road to a few waterfalls on the Oregon side of the river. 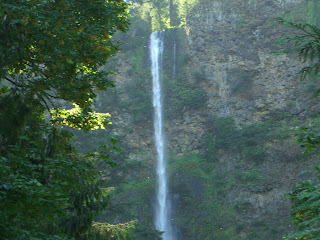 It was a blast and Nicole, April, the kiddos (5) and me got to check out Horsetail falls, Multnomah falls, Latourel falls and even did a hike to see a hidden waterfall about one mile back on a trail. The kids made it there fine but it was a tough hike back down the mountain. overall we had a great time and got some beautiful pics in the process.